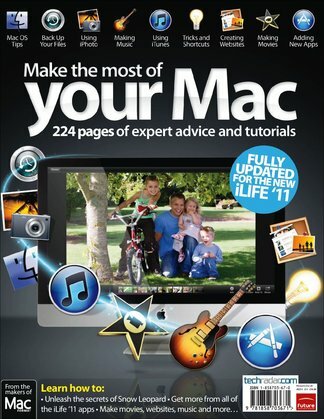 With Make the Most of Your Mac 2011 you can Learn how to: • Unleash the secrets of Snow Leopard • Get more from all of the iLife ‘11 apps • Make movies, websites, music and more… This book is for Mac users old and new who want to edit pictures, create studio-quality music, build websites, make movies – and get more from Mac OS X. This guide was made to cover everything you need to know to get even more from your Mac. Using the powerful iLife suite that comes with every Mac, this guide will help you get to grips with all of the iLife apps – iPhoto, iMovie, GarageBand, iWeb and iDVD. It explains the essentials of these great applications and delves into the new features of the latest version of iLife ‘11. Be the first person to tell us what you think about Make the Most of Your Mac 2011 and you'll save $5 on your next purchase!